If you are a victim of an accident caused by a truck driver who was considered drowsy or sleep deprived, you may have suffered injuries that range from minor to life-threatening. This can include brain injuries, broken bones, and even amputations. To help alleviate the financial burden of these medical expenses, your lawyer can sue for damages against the driver so you may receive the proper monetary benefits you are owed as a result of the accident. The first damages your lawyer may pursue are the costs of your hospital bills which include any tests, surgeries, or treatments done while you were admitted. If you suffered any broken bones or injuries that will require physical therapy afterwards so you can heal properly, you can attempt to receive money to cover the price of these expenses as well. Any costs for medications, additional medical care, or wages you lost as a result of being injured can also be sought. 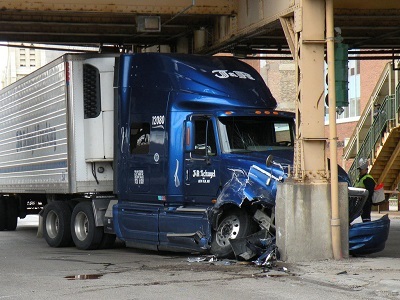 If you have suffered any injuries from a car accident with a fatigued truck driver, you’ll need the help of an experienced attorney who has dealt with personal injury cases that specifically involve truck-driver-related accidents. At Car Accident Help, you’ll receive the proper legal counsel to assist you with filing for damages against the truck driver and pursuing any financial restitution you deserve. Give us a call today and learn more about how we can help you during these difficult times. Contact us at (877) 478-3737.